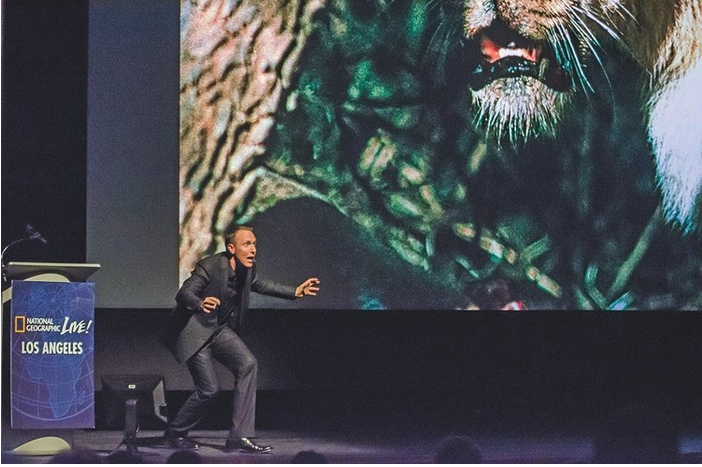 One of National Geographic’s most dynamic storytellers, Mattias A. Klum is available to lead inspiring multimedia presentations worldwide. He has given countless lectures to date, to audiences ranging from: Clinton Global Initiative, Chautauqua Institution, Swedish Government, National Geographic Society, Nikon, The Nature Conservancy, Tällberg Foundation, Apple, Audi and IKEA, among others. His presentations may be tailored, or centered around certain topics. For more information, or to book Mattias Klum as a keynote speaker for your event, please contact: info[a]mattiasklum.com. — Andy van Duym, Director of National Programs, National Geographic Live!